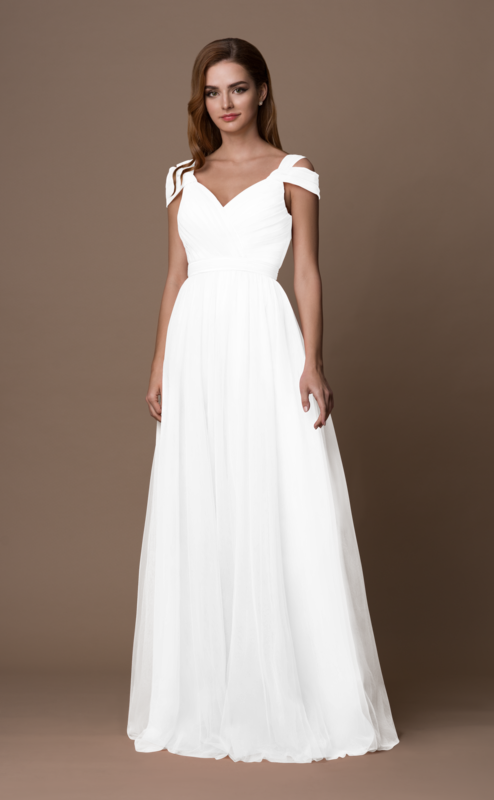 A fine looking bridesmaid tulle dress will show off your hidden tenderness. The slinky bodice has plunging neckline with beautiful double straps that hugging the shoulders. It has deep V-cut on the back and a small invisible zipper that slides to the multilayered evening length skirt.